This blog was also published as “The Government’s Grey Seal Cull is Not Based on Science” in Huffington Post Canada on July 15. An internal government memo obtained recently by the Blacklock’s Reporter and marked “SECRET” confirms that there is no scientific link between grey seals and fish stocks, completely destroying Canada’s claims that grey seals need to be culled to protect groundfish. Could it be spelled out any more clearly? Yet Canadian politicians continue to insist we need to cull grey seals, based on anecdotal evidence from fishermen who see the seals as a competitor for “their” fish. The Department of Fisheries and Oceans has a long history of making management decisions based on politics – and perhaps now “belief” - rather than science. But Canada’s obsession with killing seals these days is truly baffling. It’s not as though there are commercial markets for seal products. In fact, the industry has always struggled to find markets for grey seal products. And it has not been for lack of effort or funding. Every year millions of tax dollars are handed out for new marketing viability studies and “research and development” of seal products every year. Despite the complete failure of these efforts, the Harper government has pledged another $5.7 million to market seal products, and the provincial government of Newfoundland and Labrador has offered the sealing industry $9.2 million in bailout loans since 2012. The situation is so desperate that the Canadian government is now considering the potential of marketing seal penises as aphrodisiacs in Asia. 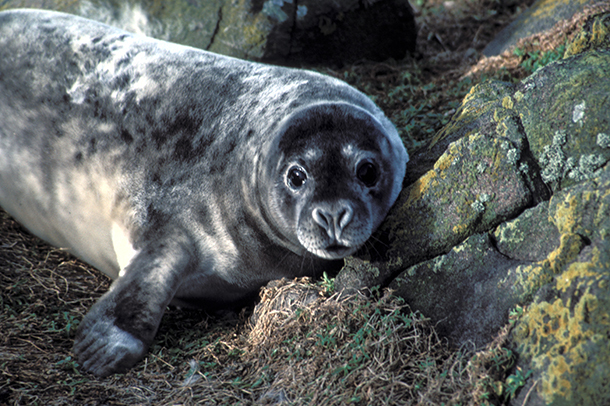 No scientific basis to cull grey seals, no commercial markets for the products and, let’s face it – support for the seal hunt is not going to be an election winner, even in Atlantic Canada. We don’t need a grey seal cull. It is time to stop wasting taxpayers’ dollars trying to justify killing these marine mammals, and instead learn how to manage our own activities so that we may co-exist with them.